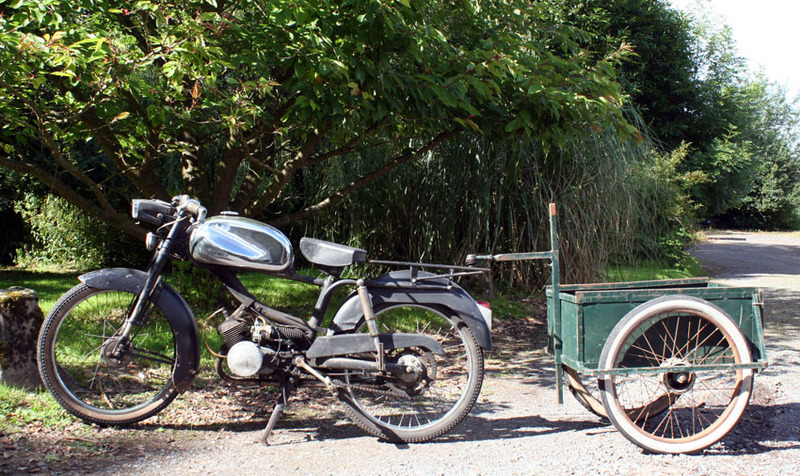 1960 Peugeot BB3V Sport Moped – Utility Version with Trailer! 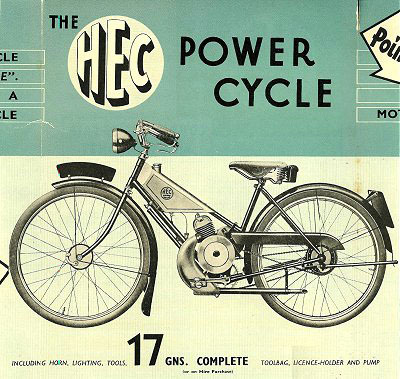 In 1960, Peugeot replaced their very popular BB2 model range with the upgraded BB3 three-speed range of mopeds. The new BB3 Sport featured a chrome tank, sporty styling, and a dual seat for touring. 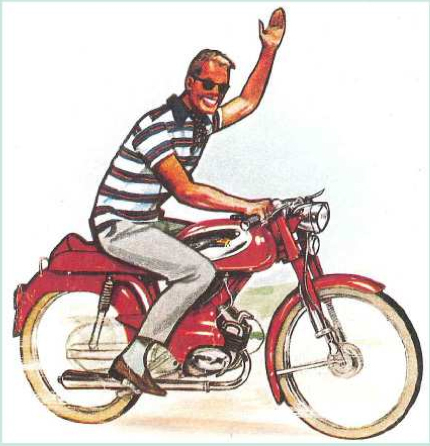 It was sold with either pedals or kickstart, and became one of France’s most popular mopeds. The machine featured here is an unusual variant. Sharing the same sporty engine, three-speed gears and chrome petrol tank, this factory-built Utility version lacks the engine cover and has a heavier front mudguard, and a single saddle rather than the touring dual seat, replaced by a heavy duty rear carrier rack with provision for a trailer. The identification plate states its date of manufacture as 12th April 1960. The speedo shows 1066 km. This one-owner machine is in original unrestored condition, and is in good running order. With this novel utility set-up, it makes a fabulous conversation piece if you fancy something totally different for shows and displays. You could also easily make up a sign board for the trailer to advertise your business, with your products on display on the trailer. It was common in the early days of motorcycling to have a dual-purpose machine (such as a sidecar outfit) to use for both business and pleasure. During the week the machine would earn its keep, and at weekends be adapted for family motorcycling. The rear carrier and single saddle can easily be replaced by a dual seat if you wish to convert this BB3V into a sport touring moped. FEEDBACK: I do everything I can to make your purchase a pleasurable experience.